Gadkari’s visit cancelled due to bad weather, CM review progress with BRO officials. 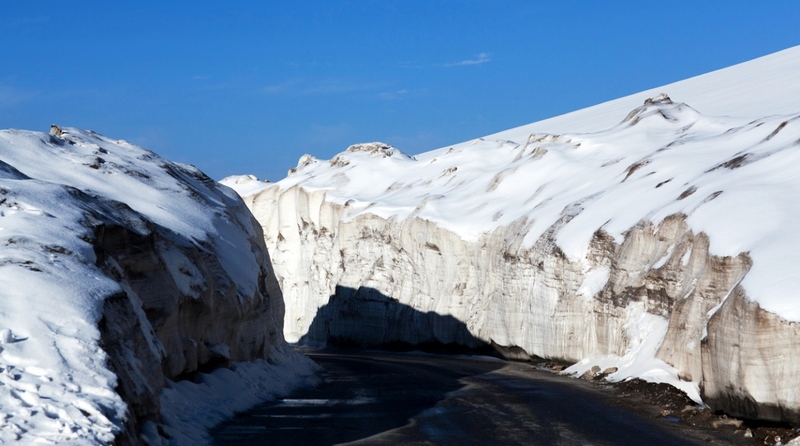 The Rohtang Tunnel project in Himachal Pradesh, which is likely to be completed by November next year, will give all-weather connectivity to people of Lahaul Spiti, who are landlocked for five-six months in a year due to snow on Rohtang Pass. “It is bound to change the economy of the tribals in this beautiful valley,” said Chief Minister, Jai Ram Thakur after he crossed over to Shisu in Lahaul Spiti through Rohtang Tunnel from Southside from Dhundi in Kullu district on Friday. Thakur reviewed the progress of work at Rohtang tunnel with senior officers of the Border Roads Organisation and Strabag AG Afcons JV Company executing this ambitious project of national importance. The CM said foundation stone of this ambitious project was also laid by the then Prime Minister of India Atal Behari Vajpayee and the Prime Minister Narendra Modi was keen that this project was dedicated to the nation at the earliest. He said that the Union Minister of Surface Transport Nitin Gadkari was to visit Rohtang to review the progress in the work of this tunnel, but due to bad weather he could not reach here. He said that the total cost of this 9 kms tunnel Project was Rs 4,083 crore. He said that the biggest hindrance in construction of this tunnel was managing of Seri Nallah in between the tunnel. Only this stretch of about 600 metres took about four years, he added. weather road connectivity upto Leh Ladakh bordering China. He said that the Union Government was contemplating to construct three more tunnels on this road upto Leh so that this road of strategic importance could be strengthened. This would reduce the distance upto Leh Ladakh by about 100 kms and traveling distance by about seven hours.